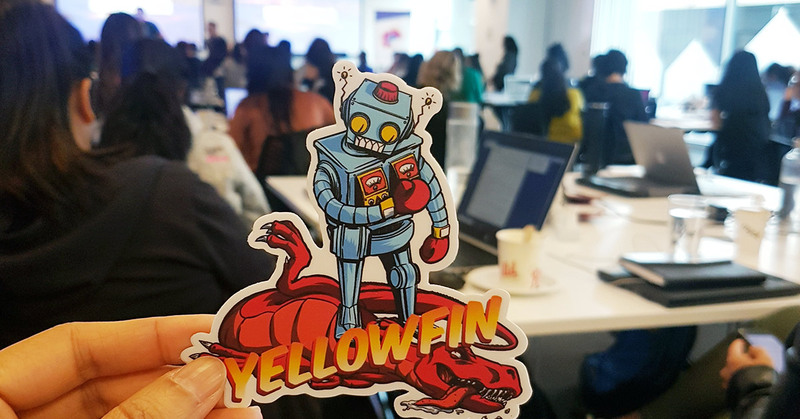 The Yellowfin team spent their Wednesday at the She Loves Data event in Melbourne. It was brilliant. If you’re not familiar, She Loves Data (previously called Data Girls) is a data analytics initiative, that focuses on teaching and encouraging women to learn about data, technology, and analytics. They hold regular workshops for women in 6 different APAC cities to build a community for them to come together to learn, connect with each other, and have fun. The workshops usually last all day, and are led by a number of female data enthusiasts who teach the basics of data analysis and talk about their own exciting journeys and involvement in this field. Yellowfin is one of the sponsors of this event and we enjoy delivering interactive classes centered around data visualization. The women attending this session were diverse in age and experience in the field. They came from different backgrounds, but they all had something in common: they were there to learn. It was encouraging to see them all so enthusiastic to get started on data analysis. They all participated well and thoroughly interacted with one another and the speakers, talking about what inspired them to attend the session. Many were there to learn new skills which would help them in their current jobs, or open new doors for them. A huge part of the day was being able to network and interact with like-minded women. Conducting the Yellowfin-focused workshop of this event was Emma Urli, who started off with the basics of the data visualization. She guided the attendees through the dos and don’ts of creating visualizations (never go for a 3D or pie chart!) and had everyone building Yellowfin reports and charts in a matter of minutes. Emma talking passionately about her dislike of pie charts. It was inspiring to see the attendees learn how to use Yellowfin Data Discovery so quickly, with minimal help required from our team. It also helped to have a fun dataset for the class, centered around the Titanic and its survivors! 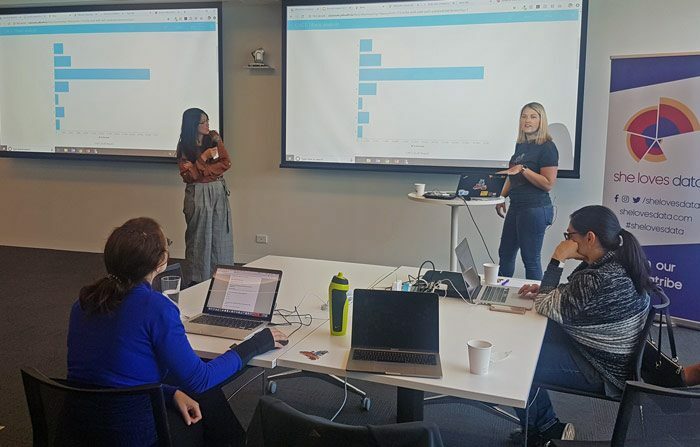 The group got to grips with Yellowfin fairly quickly, creating a number of bar charts (the chart of choice for the team) and discovering valuable insights on our Titanic data. Finally, the group wrote stories on the insights, using Yellowfin Stories. Participants showing off their handiwork. Multiple female presenters were invited to talk about their experiences in the industry and share their knowledge of the skills required. Stacy Sterling (REA Group) opened the morning by demystifying the technical jargon frequently heard but never understood. 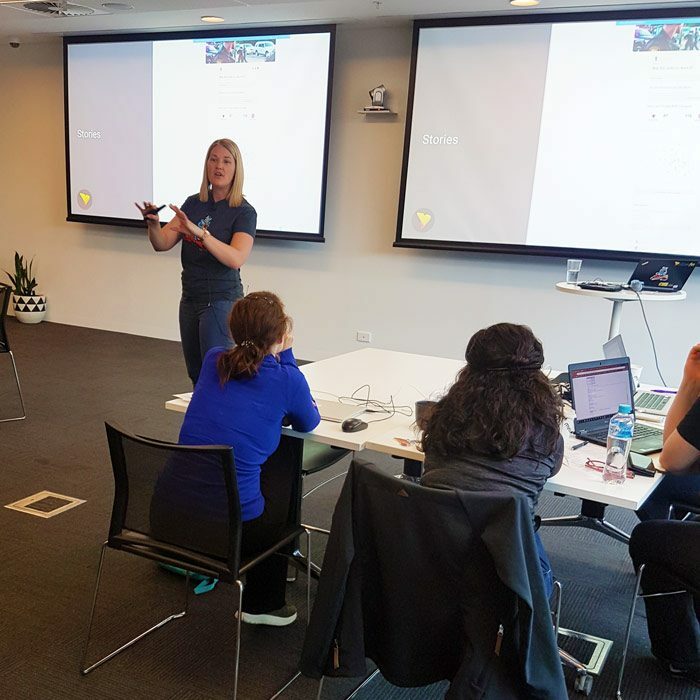 Leigh-Anne Sharland (SportsBet) then guided the audience through an introduction to SQL. Tamzyn Bielecka (BP) taught the She Loves Data group how much fun data analysis could be (even touching on my favourite topic - cocktails). Everyone soon realized that data is all around us and we continue to interact with it on a daily basis. There were also a number of inspirational speakers who talked about their own journeys, such as Amber Lou (NAB) encouraging the group that it’s an ideal time for them to venture into the world of data, and inspiring them to become leaders. The day concluded with career talks, coffee breaks, and a lot of learning. It was apparent that everyone present had bonded over their shared enthusiasm of all things data. The workshop was a massive success, thanks to all the sponsors, REA Group, SportsBet, MYOB, and Yellowfin. Visit the She Loves Data website to learn more and even join their DataTribe.